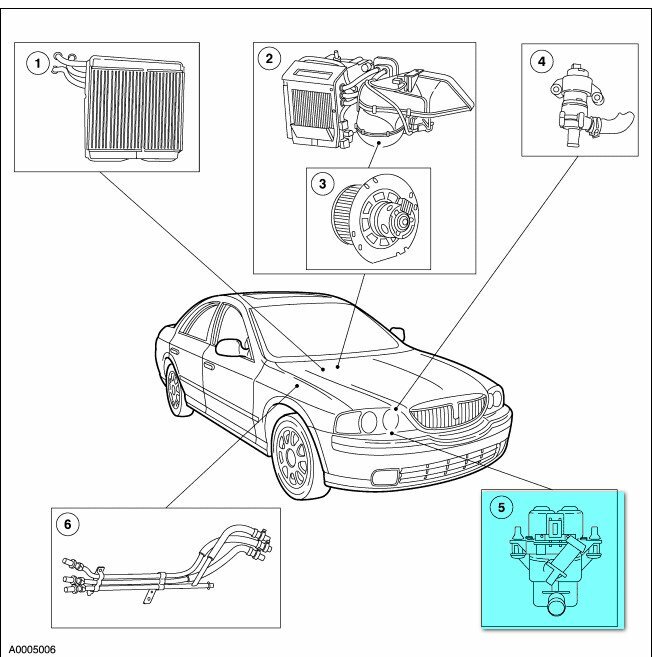 Technical Car Experts Answers everything you need: Heater just blows cold air on Lincoln LS united states model? It can be issue with faulty thermostat,thermostat stops working and causes such problem,Its not a costly part,you can try replacing thermostat.But if you have already tried replacing thermostat and still the problem is same,then other possibility can be plugged heater core.The core get clogged and causes such problems.Get the heater core flushed and see the results,.If still the problem is same,then the other possibility for this problem is Duel coolant heater control valve.This Valve is located on the passenger side , front of the engine compartment.Replacing this valve will help. See the diagram below that shows the location of this valve. Always buy branded auto parts,local non branded cheap auto parts don't give exact required results,they get overheated and burned out or don't last long.The cost for branded original auto parts are bit more,but you get required results and they last long.